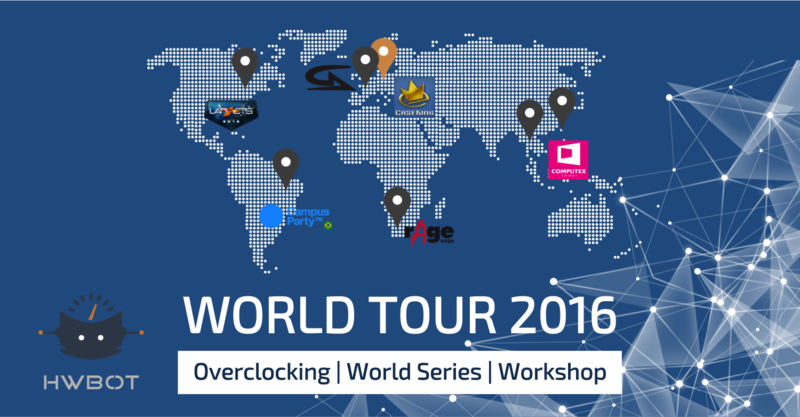 January 27, 2016 – HWBOT, an organization regulating international overclocking competitions and rankings is pleased to announce more details about tickets available for this year’s HWBOT World Tour, including the news that will in fact be three different types of ticket available for each event. 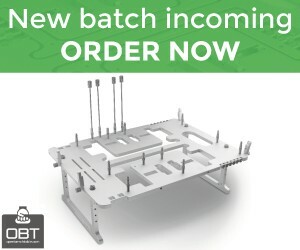 “Based on the feedback from enthusiastic overclockers who wanted to join, we’ve added additional ticket types to accommodate overclockers of all abilities and experience,” commented Pieter Jan-Plaisier, Director at HWBOT. Full: Individual ticket – Entire week access to Dry Ice + LN2 access for the World Series competition. Entry: Individual ticket – Bring your own Water CooLing + LN2 access for the World Series competition. The HWBOT World Tour is kicking off this week with the first stop at the Campus Party in Sao paulo Brazil. The Tour is a series of overclocking events held around the globe that aims to provide a relaxed social environment for overclockers to learn, share and compete. The idea is primarily to nurture the next generation of overclockers with open OC workshops where total amateurs can get some first hands-on experience and learn vital tricks and tweaks from more seasoned players. Of course, no Overclocking event would be complete without some competitive action so each stop on the tour offers contests that cater for all levels and abilities, as well as providing space for some seriously extreme Overclocking. The LN2 flows freely.